(Bill Lewis , For The Tennessean/ Click HERE for full article) Pre-buying trend, a result of high demand in Williamson County, has advantages for buyers, such as customizing a home's finishes and locking in the price. When you buy a new car you expect to drive it home right away, but if you purchase a new house in the hot Williamson County market, you’ll probably have to wait several months before you can move in. They’ll have to build your home first. In many popular subdivisions, the majority of new houses are purchased before, or soon after, construction starts. When the buyers sign the contract or put their name on a waiting list, the yard is still a vacant lot. 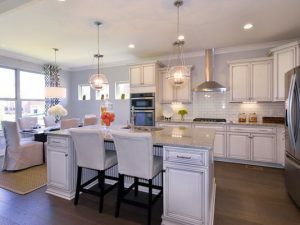 “It’s definitely a trend,” said Todd Reynolds, vice president of Goodall Homes, which is building new single family homes and cottages in the Waters Edge subdivision, as well as a new line of larger executive townhomes. “Why are we introducing this in Williamson County? It’s the demand we see,” he said. The trend — call it pre-buying or buying to-be-built homes — has advantages for people purchasing a house, according to builders. In many cases, buying before construction starts or soon after offers the chance to customize a home if the builder offers options. Also important, buying early can allow the purchasers to lock in the price. The home you move into in June might be worth thousands more than you paid for it in January. In Williamson County, the median price for a single family home rose 10.7 percent in the past year. The price was $441,355 in September. During the same month in 2015, the price was $398,553, according to the Williamson County Association of Realtors. Waiting until construction is finished could cost thousands of dollars. It could also mean losing the chance to buy the house at all since so many other buyers are ready to act. 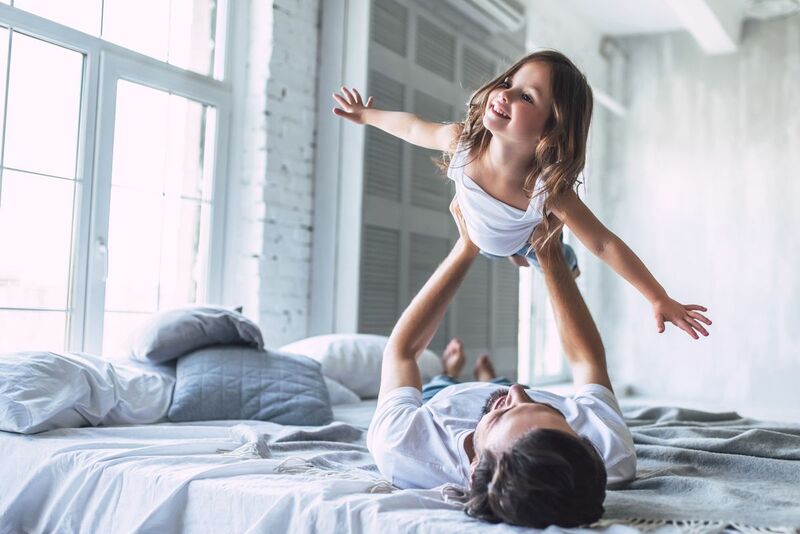 Many buyers are attracted by the opportunity to customize their new home, said Chad Ramsey, director of sales and marketing in Tennessee for Pulte Homes. The company is building new homes in the Amelia Park subdivision in Franklin. “Amelia Park sells to-be-built homes primarily. We see 90 percent of our sales as to-be-built because buyers really like the idea of being able to personalize their home. The great thing about building is you get to select the floor plan, the finishes and colors. 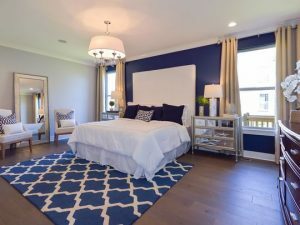 A lot of our buyers really like the Charleston singles at Amelia Park because yard maintenance is included,” said Ramsey. The Jones Co. sees a similar percentage of early buyers. In Williamson County the company is active in the Falls Grove subdivision in College Grove, Enderly Pointe at Ladd Park in Franklin and Summerlyn and Whitney Park in Nolensville. “About 95 percent of our business are people who pick their lot out and build from the ground up. The big advantage is personalization and, of course, new homes are just special and magical. It is great to know that no one has ever lived there,” said Jen Lucy, the company’s director of sales. Early sales make up a large part of sales for Goodall Homes, said Reynolds. 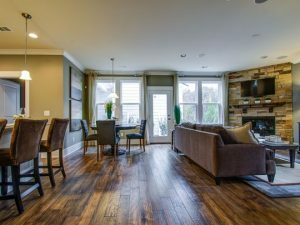 The company is active in Franklin in the Waters Edge and Rizer Point subdivisions and Shadow Green Townhomes, in Nolensville’s Bent Creek subdivision and in Thompson’s Station’s Canterbury subdivision. “They’ll write the contract and we’ll start the house,” said Reynolds. He expects demand to be strong for Goodall’s new executive townhomes in Waters Edge. They will have from 2,400 to 2,900 square feet and offer an innovative floor plan with a master suite on the main level with space for a second bedroom or an office on that floor as well. There will be space for a second master upstairs. The company is designing the new townhomes around the way families live today, said Reynolds. “Mom may be coming to live with them,” he said. The company plans to build 50 of the new executive townhomes in the initial phase. Prices have not been set. Goodall Homes is also launching 38 new single-family homes in Waters Edge. Prices will start at $384,900, said Reynolds.